NEW Western boots with style! 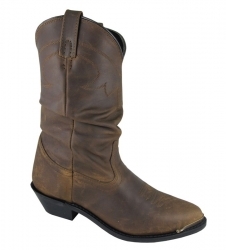 Gorgeous ladies 11" western boot in brown oil distressed leather. It comes with leather upper, tricot lining, western toe and western heel, Composition sole and steel shank for easy riding.